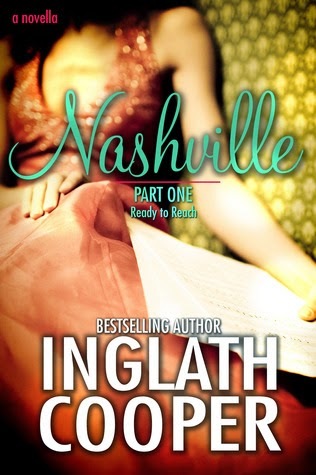 Nineteen-year old CeCe Mackenzie leaves Virginia for Nashville with not much more to her name than a guitar, a Walker Hound named Hank Junior and an old car she'd inherited from her grandma called Gertrude. But Gertrude ends up on the side of I-40 in flames, and Nashville has never seemed farther away. Help arrives in the form of two Georgia football players headed for the Nashville dream as well. When Holden Ashford and Thomas Franklin stop to offer CeCe and Hank Junior a ride, fate may just give a nod to serendipity and meant to be. "We take this life one moment, one day at a time." This won't be the longest review since there wasn't much to reflect on. And this will be a pathetic review, I know. I really liked this. It is a four-part novella series which is exciting. In this book/novella, whatever you want to call it, we're introduced to the main characters - tree very likable characters. The whole thing about how they met was incredibly funny. It wasn't funny that her car exploded, okay, but the rest of it was hilarious. "My mama and I never had much, but if I said I wanted to fly to the moon, she'd start helping me make the wings." The music element in this book/novella was fantastic. I love music. Like literally LOVE. L-O-V-E. I've always appreciated books about musicians and this was no different. I admire their want and their dreams. I admire how they know that the good always comes to the ones who wait. I felt so poetic during this I don't know. Oh my God, I want to write so much more but I don't know if I can. I'm gonna write about some other things happening around this instead. So, right now, Smith Publicity (the publishers) are hosting a blog tour. Exciting, exciting, I know. I got an email about this asking me if I wanted to take part in this. Yes, yes, yes I am way beyond excited. This now means that I am currently preparing for hosting a giveaway. I am planning to have the giveaway on my Instagram page (@forbidden.books). It's extremely simple, really. The end date will sometime after April 19th. More information about this will come later. I know this was more of an informational blogpost than an actual review. Sorry, about that. "Someone once said that every new beginning comes from some other beginning's end. The trick then has to be letting go of the safe, the known and reaching out for what we can't yet see."